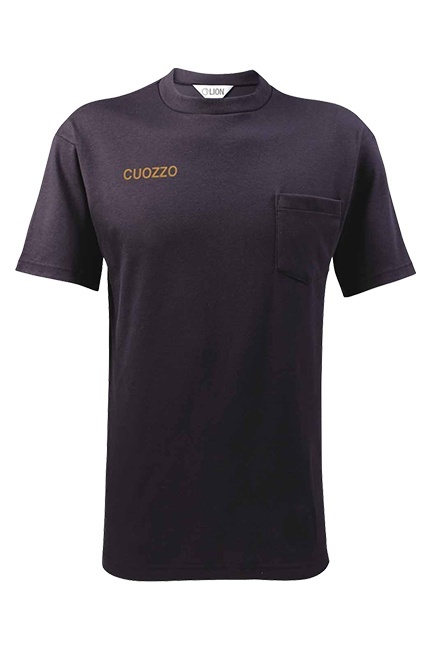 Perfect for warm climates, the Station Crew Neck T-Shirt is a simple but professional addition to your current station wear. Quality Design: Rib knit crew neck for lasting fit and shape. Comfortable Fit: Full athletic cut with enough length to tuck. Breathable Fabric: Made from cotton so it breathes. Short Sleeves: Hemmed short sleeves for warmer weather. Convenient Features: Roomy left chest pocket. Timeless Style: Designed with lasting fit and shape. Extended Body Length: Two inches longer than most tee shirts to stay tucked-in. Quality Cotton: Made from 6.0 oz 100% cotton interlock.